Earlier this year I took Peyton to see Pete’s Dragon in the theater. It was a pretty emotional film, for both of us. I was concerned this would turn Peyton off but it didn’t. Pete’s Dragon is full of emotional scenes that engage the audience. Within the first 30 seconds, we were both engrossed in the film. I will admit, the first 10 minutes or so are pretty intense. As a parent, I was moved by the opening scene. We see Pete and his family on a road trip and Pete is reading to his mother. Such a touching moment. But a deer runs out in front of them and his father tries to avoid hitting the deer, instead he ends up losing control and there’s an accident. Pete’s parents do not survive. Little Pete, about 5 years old, packs up his little backpack and starts out for help. But then, a pack of wolves appear and start to chase Pete through the forest! That’s when Pete meets Elliot, the dragon. Elliot saves Pete from those nasty wolves and they are best friends forever. As a parent, I was moved by the opening scene. We see Pete and his family on a road trip and Pete is reading to his mother. Such a touching moment. But a deer runs out in front of them and his father tries to avoid hitting the deer, instead he ends up losing control and there’s an accident. Pete’s parents do not survive. Little Pete, about 5 years old, packs up his little backpack and starts out for help. But then, a pack of wolves appear and start to chase Pete through the forest! That’s when Pete meets Elliot, the dragon. Elliot saves Pete from those nasty wolves and they are best friends forever. That’s the opening scene. Pretty intense! This is definitely a movie you’ll need to have a box of tissues with you while you are watching. Pete’s Dragon will pull on your heart strings and have you sitting on the edge of your seat. It’s a very touching film. In true Disney style you’ll be crying, laughing and wanting more when the film ends. After the opening, the film fast forwards until Pete is around 10 years old. Elliot and Pete had been living in the forest since the day they met. No one had ever found Pete, until the loggers crossed his path. I won’t give away the remainder of the storyline. But I will tell you to be prepared for a story filled with ups and downs. There’s even a villain! I won’t tell you who, but I’m sure you’ll be able to spot them within the first 5 minutes of seeing them. Pete’s Dragon is now available at your local retailer or online. I remember loving the original movie and plan to purchase or rent this version. 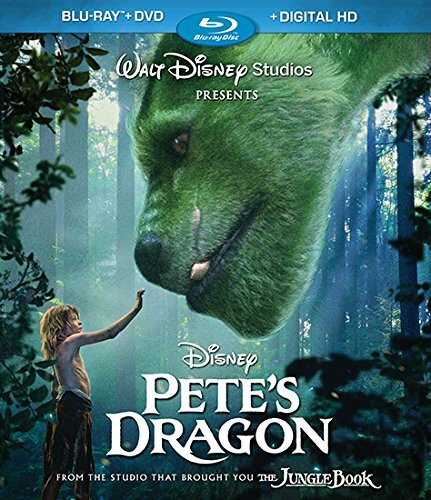 I didn’t know that there was another Pete’s Dragon. I have the animated one. My youngest son and I use to watch it all the time.